looking individuals precisely to force the witness to think strongly about what they remember, this may result in witnesses unconsciously conforming their memory to the available choices. The most complex part of eyewitness misidentification, though, is the fact that people who wrongly identify someone are often really confident they’ve made the right choice — and that confidence is persuasive in court. The action is often far away. It’s often dark and the light is bad. There’s lots of tension and your adrenaline is pumping. The culprits often belong to a different ethnic group than the eyewitness, and we’re all much worse at distinguishing between people of a different race. There’s more, but you get the idea. As Adam says, though, this makes little difference to the witnesses themselves. Just as everyone thinks they’re a great driver, just about everyone thinks they’re great at remembering faces, too, even if they did get only a brief look in dim light from 50 feet away. This isn’t a topic I’ve spent a ton of time on, but knowing the basics, and knowing just how widely appreciated this stuff is in the criminal justice profession, I’ve always been a little surprised that the Supreme Court hasn’t weighed in with some new guidelines on the use of eyewitness identification. 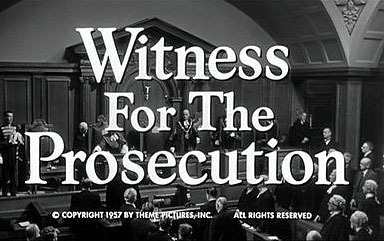 I’m not talking about the usual stuff, like insisting that police conduct lineups properly, but something deeper: guidelines about how eyewitness testimony can be used in court, how the circumstances have to be disclosed, what kind of instructions the jury should get, and so forth. This is about as fundamental a part of getting a fair trial as there is. Perhaps this New Jersey decision is the first step in making this happen.